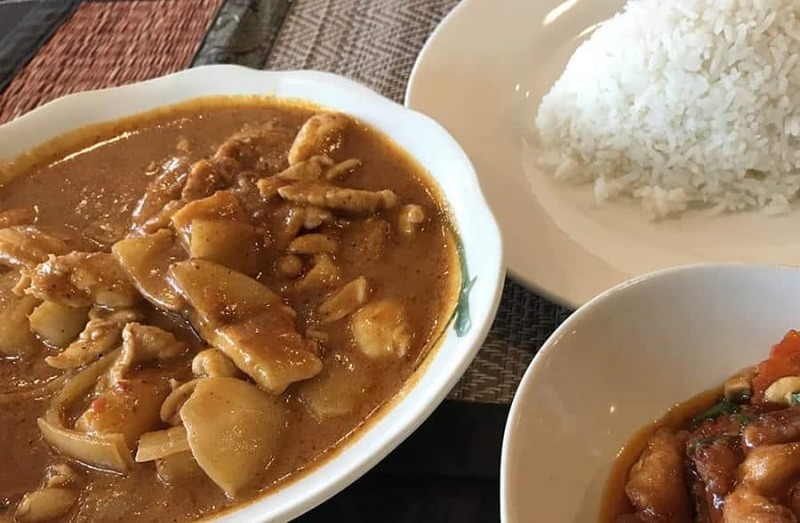 Inspired by the upcoming Broadway in Cincinnati show The King and I, we ventured out to find the best Thai food in town. And we found there is no shortage of great Thai restaurants in Cincinnati! Start with dinner at one of these spots and then head to the Aronoff Center to see The King and I (April 10-22). Make it a great date night or a fun girls’ night out! will be at the Aronoff Center from April 10 to April 22, 2018. This beloved musical is set in 1860’s Bangkok, Thailand and tells the story of the unconventional and tempestuous relationship that develops between the King of Siam and Anna Leonowens, a British schoolteacher whom the modernist King, in an imperialistic world, brings to Siam to teach his many wives and children. Anna tries to help an Eastern king understand the modern world but he is unable to resist the forces of the ancient customs he knows so well. One of Rodgers & Hammerstein’s finest works, The King and I has a score that features such beloved classics as “Getting To Know You,” “I Whistle a Happy Tune,” “Hello Young Lovers,” “Shall We Dance” and “Something Wonderful.” Winner of the 2015 Tony Award® for Best Musical Revival, THE KING AND I is “too beautiful to miss” (New York Magazine). 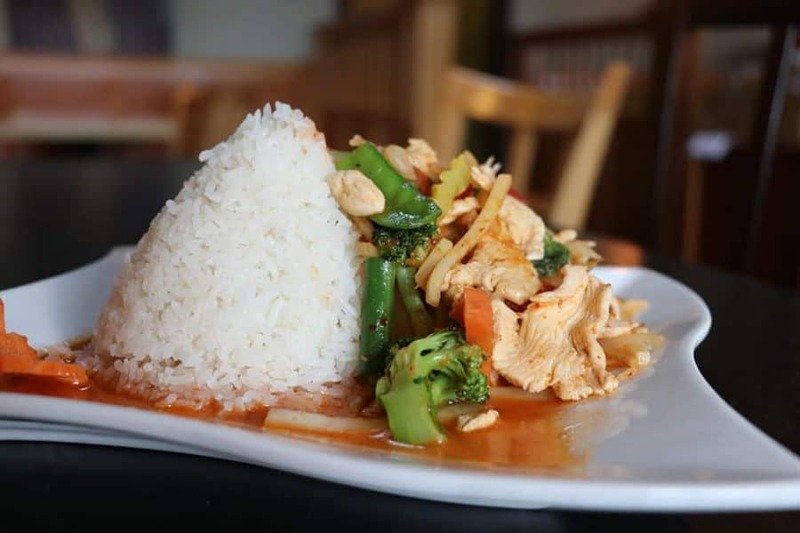 My pick for Best Thai Food in Cincinnati = Nittha Siam Kitchen, located just over the river in Alexandria (just 7 miles from the Aronoff Center). I had the Pad Med Mamung Himaphan with chicken. It was full of carrots, bell peppers, onions, scallions, cashews, and the dried chilis brought the heat. My husband had the Thai Curry and it was amazing – so warm and comforting. It had great depth of flavor and I found myself going back for more of his that I ordinarily do. Each restaurant we visited allowed us to determine the heat of our dish. Most were scaled from 1 to 10. I like spicy but decided to go with a 5 most of the time just because what’s spicy to one person is different to another and I thought that would be safe. I was right – they were “safe” for me and I think I’d bump that up on the next visit. What did I like about Nittha Siam Kitchen? The food was delicious. The service was great. Lots to choose from on the menu and our server was very helpful in making choices we’d like. The food came family style with large spoons, making it easy for us to enjoy some of each other’s dishes. It’s just a short hop and a jump to downtown. Parking: They have their own parking lot. 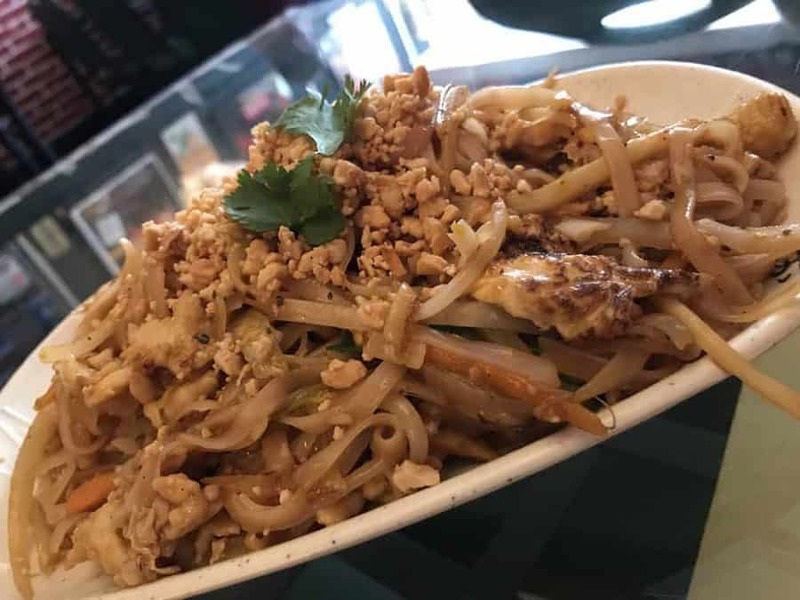 Another fantastic Thai restaurant in Cincinnati = Green Papaya, located in Hyde Park (about 7 miles from the Aronoff Center). Green Papaya was another favorite. The whole experience seemed authentic from start to finish. I had Hot Thai Spicy with chicken and white rice. You’re able to alter the heat (contrary to the dish’s name). Mine wasn’t spicy at all as this was the first time I’d been to Green Papaya and I didn’t know just how spicy their spicy is. I went middle of the scale and it was good but next time I’ll go higher (personal preference). What did I like about Green Papaya? The food was fantastic. They paid a lot of attention to the plating; it was a beautiful presentaion. Our service was great. This was probably my favorite as far as decor goes. They have lots of seating. Parking: Leave plenty of time to find a parking spot as their parking lot has a limited number of spots. Free and metered on-street parking is available on surrounding streets. A perennial favorite of mine – Kung Food Chu’s Amerasia cooks up some mighty fine Thai food as well! I should note that Kung Food Chu is not all Thai but they do have some Thai food on the menu. I wanted to include it here as it’s such a fun place to go out to eat. I went with one of my favorite Thai dishes – Pad Thai… and it did not disappoint. What did I like about Kung Food Chu? There’s so much to love! You’ll enjoy reading the menu (seriously). They have a full service bar if you’d like to enjoy a pre-show cocktail or a locally brewed beer. They have a wide variety of items on the menu. The portions sizes (at least for what we ordered) were huge. It’s a fun spot to enjoy a casual evening out. Parking: They do not have their own lot but there is metered parking on the street all around Kung Food. 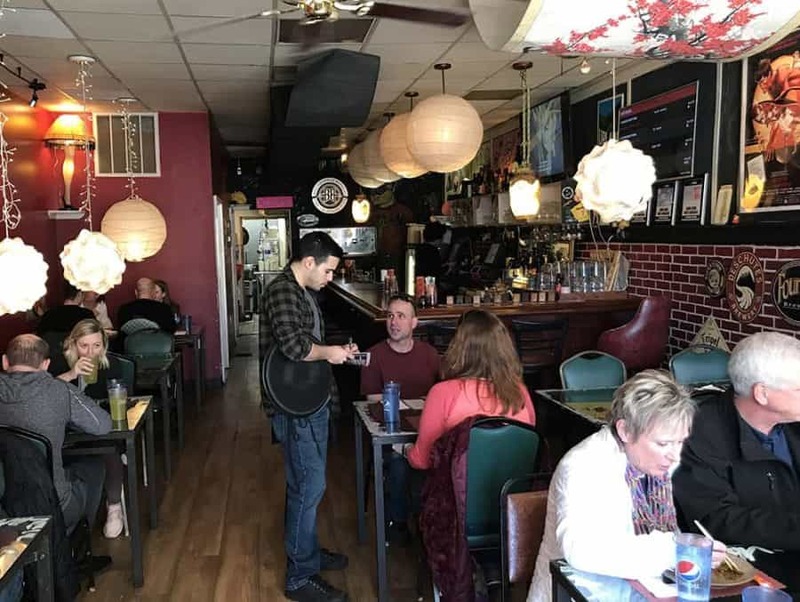 As a last minute addition, we decided to try Lemon Grass in the Norwood / Hyde Park area. And I’m so glad we did! We started our meal off with an appetizer. 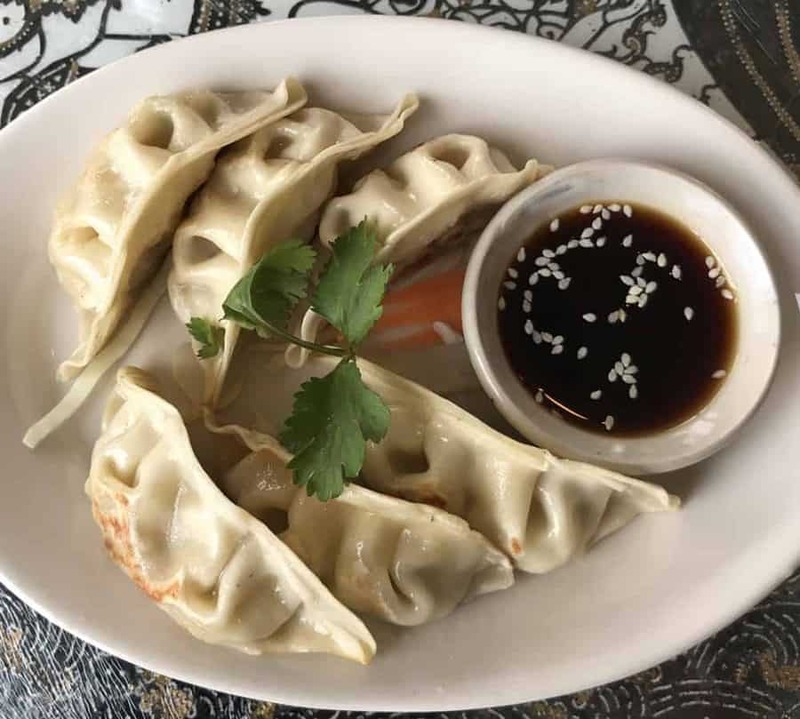 We couldn’t resist the Pot Stickers on the menu. I’m glad we ordered them – they’re as good as they look! And we followed that up with Crispy Paht Tai with chicken, Ginger (chicken), and Golden Tofu. I’d never had CRISPY Paht Thai so I tried that out and while it was very good, I believe I prefer the softer noodles (no reflection on Lemon Grass, just a personal texture preference). Everyone at the table loved their meal and we will definitely go back again. What did I like about Lemon Grass Thai Cuisine? Our food was excellent as was the service. Our food was vibrant in color and arrived hot. Lemon Grass is centrally located (about 7 miles from downtown) and is also around a lot of shopping and other things to do if you want to extend the outing. Great reviews and it’s making me feel hungry ???? Thank you, Jean. Me too! Mai Thai in Florence, KY is also FANTASTIC!!! Good to know, Sarah. I will add it to my list. There are a LOT of Thai places in NKY! Agree! They are a great Thai resturant. To add to the others, Mai Thai in Florence KY is a great spot! 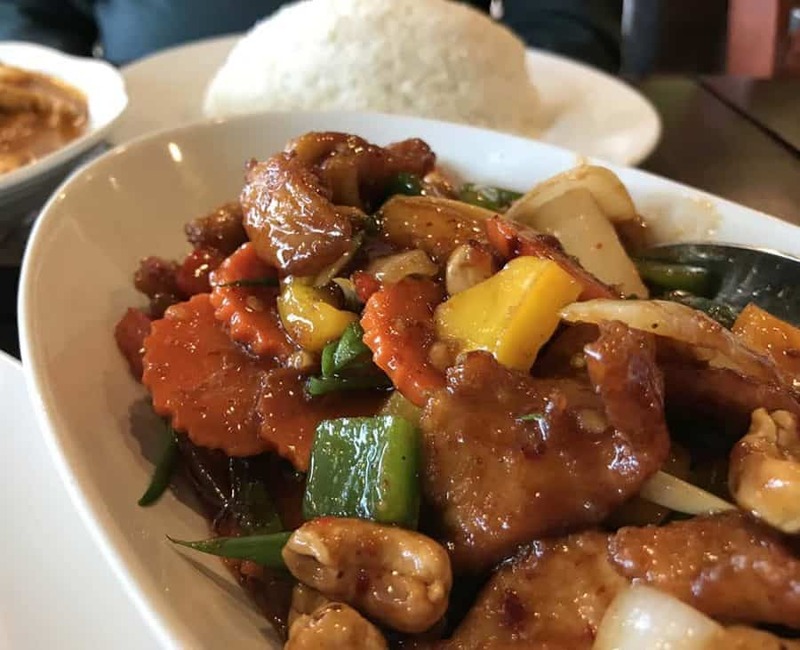 My personal go-to is Asiana in Hyde Park, and Bangkok Terrace in Blue Ash is no slouch either! 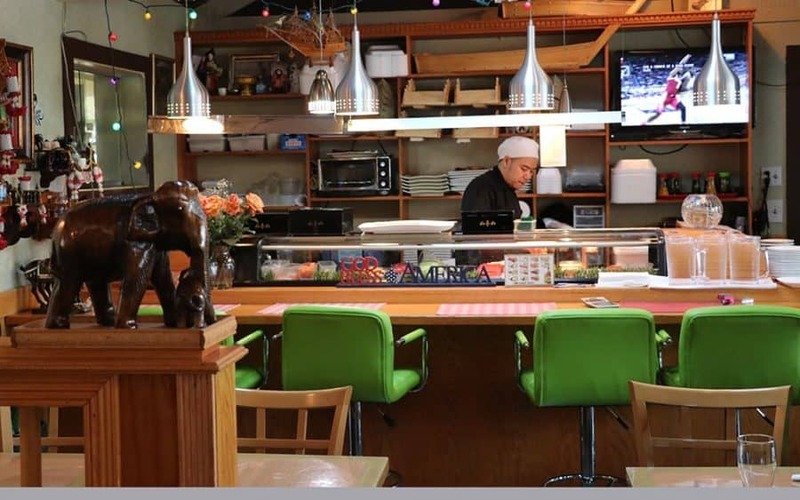 The owners of Asiana are a husband-wife duo who are very personable and always do their best to ensure you have a great experience. Definitely try it sometime! Those sound REALLY good, Rick. I will definitely add them to my list for 2019. Thank you!